Jenny Steffens Hobick: Heart Shaped French Toast for Valentine's Day... Coincidence or a Valentine's Day Miracle? 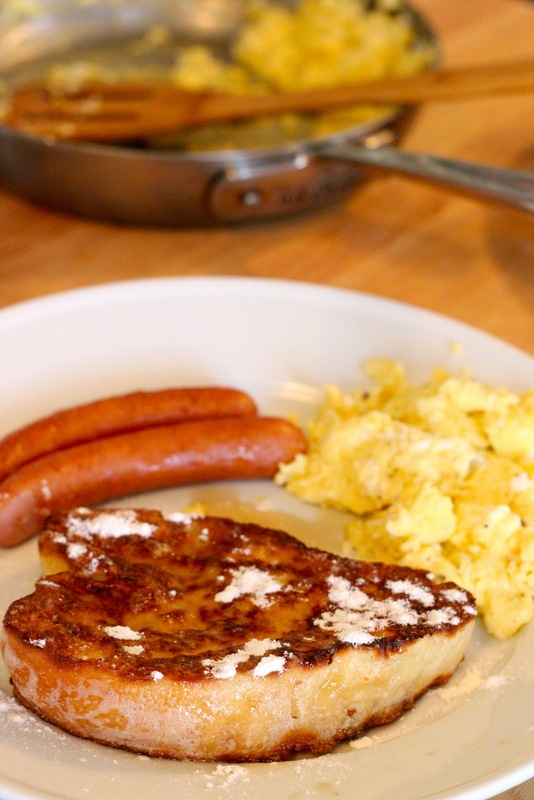 Heart Shaped French Toast for Valentine's Day... Coincidence or a Valentine's Day Miracle? A couple of weeks ago I baked a loaf of 'homemade' (aka home-baked rhodes frozen bread dough) that happened to turn out a little odd shaped. I didn't realize that it was heart-shaped until I sliced it... could it be a Valentine's miracle? Sure. I'll take it. I decided to photograph it at the last minute - too good to pass up. Unfortunately, I don't know how to tell you to duplicate my heart-shape mishap. I can tell you that the homemade bread makes amazing french toast. No real recipe - bread, milk, eggs, dash of vanilla (credit : gibby...) and fried in butter. Perhaps it will inspire your Valentine's Day breakfast in bed? What are your Valentine's Day plans? Mike and I don't typically buy each other gifts for these sort of holidays - usually a special dinner in or out. I think this year, since it is on a Tuesday night I'll fix him his favorites. Probably something like Steak, Truffle Pasta and Chocolate cake. Even though I just made the exact thing for his birthday 2 months ago... he's a man of routine! *Behind the Scenes Scoop : Notice the not-so-fine dusting of powdered sugar. It is actually flour... I discovered after I shot the photos and took a bite. Oops.